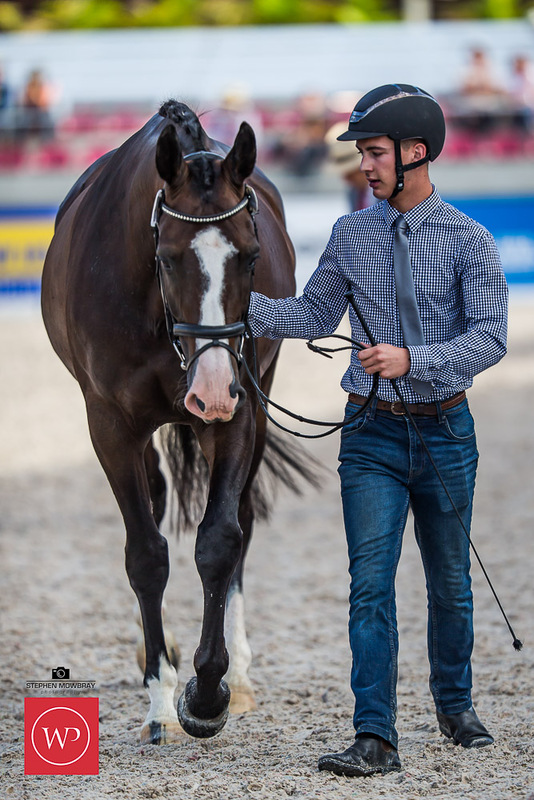 More photos will be added to the photo galleries over the next day or so. 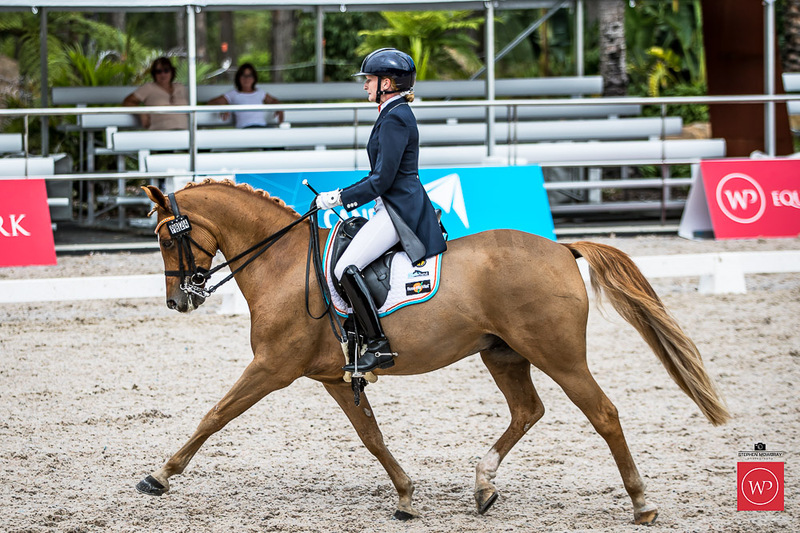 Another close competition in the covered arena this morning with the Medium 4.2. 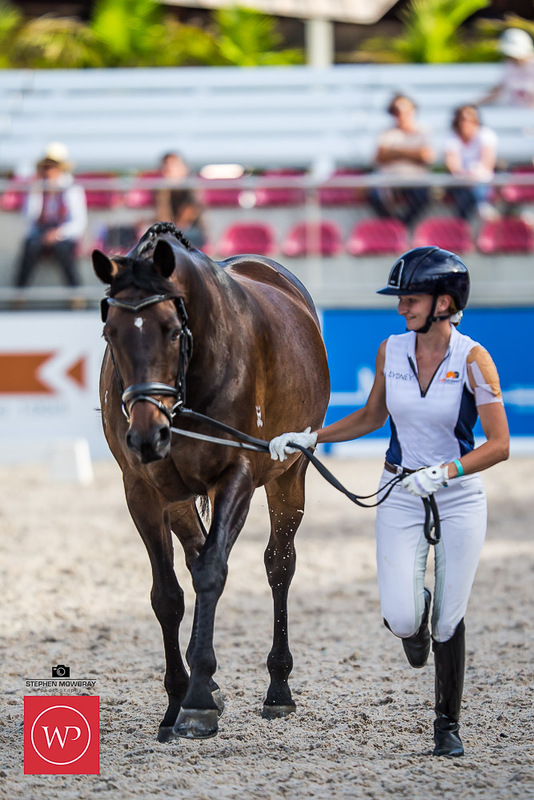 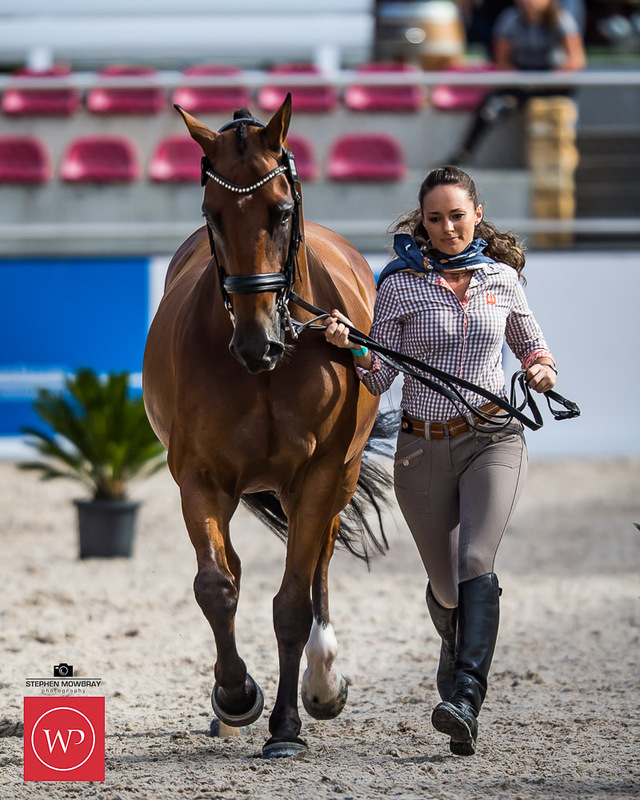 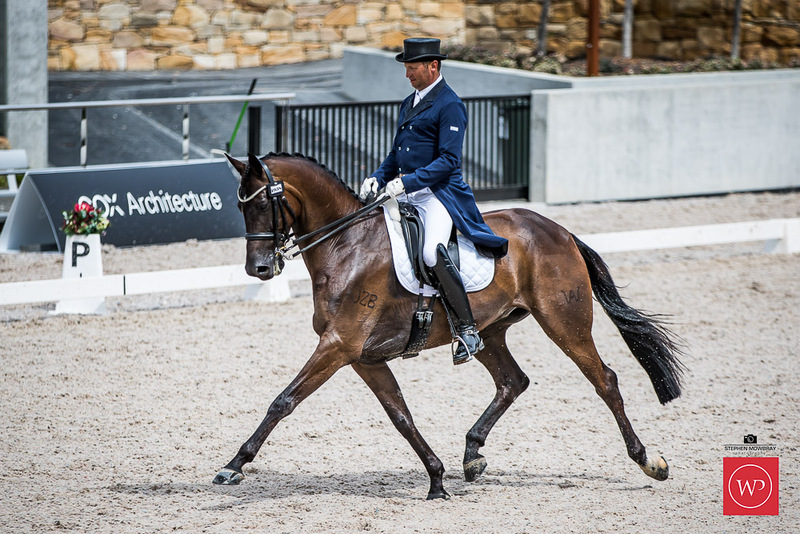 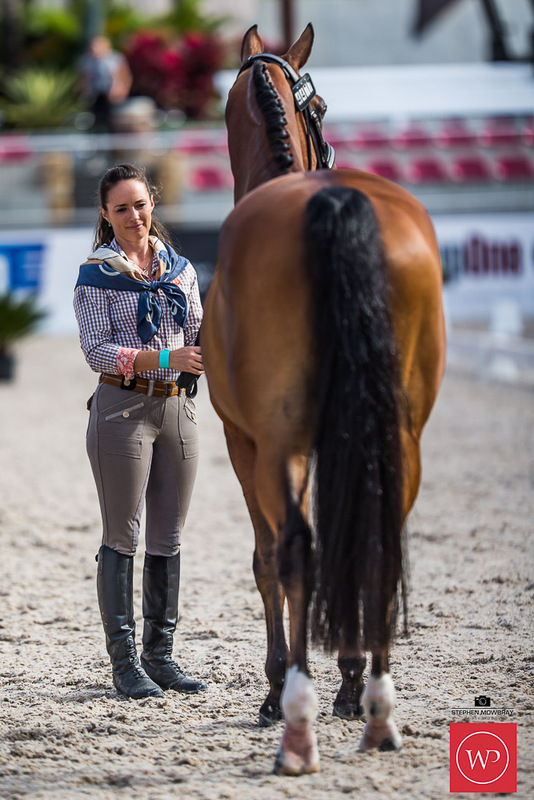 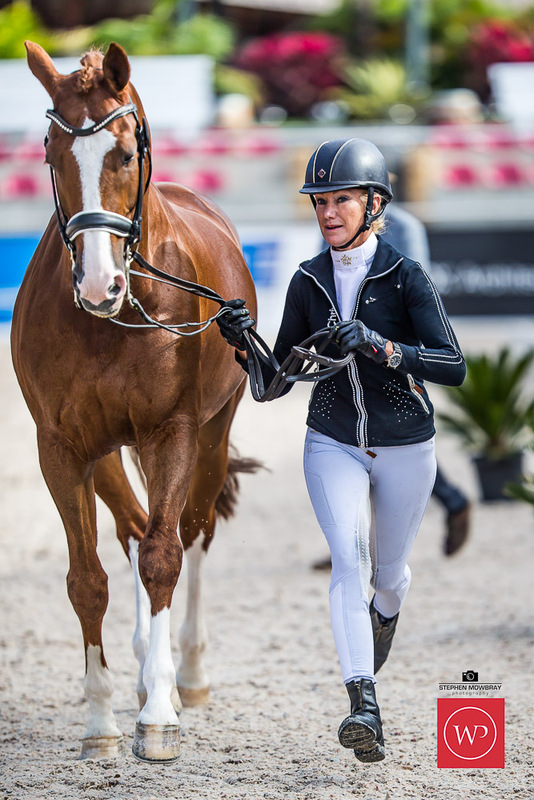 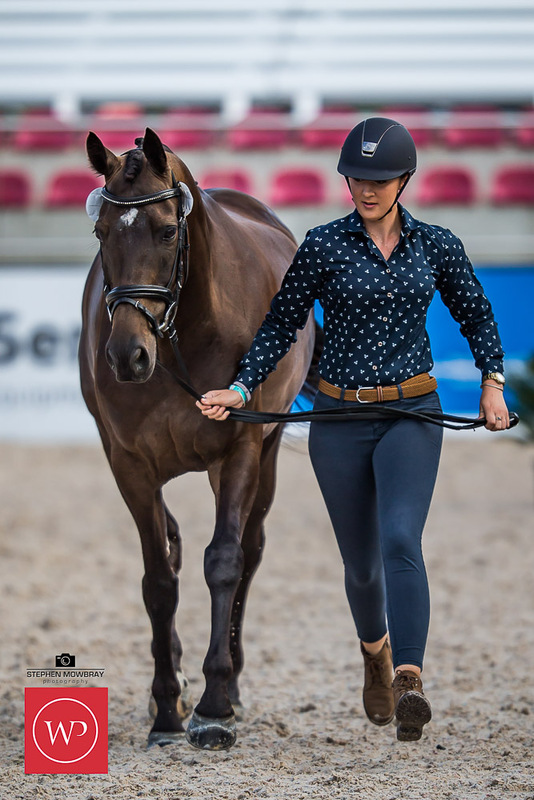 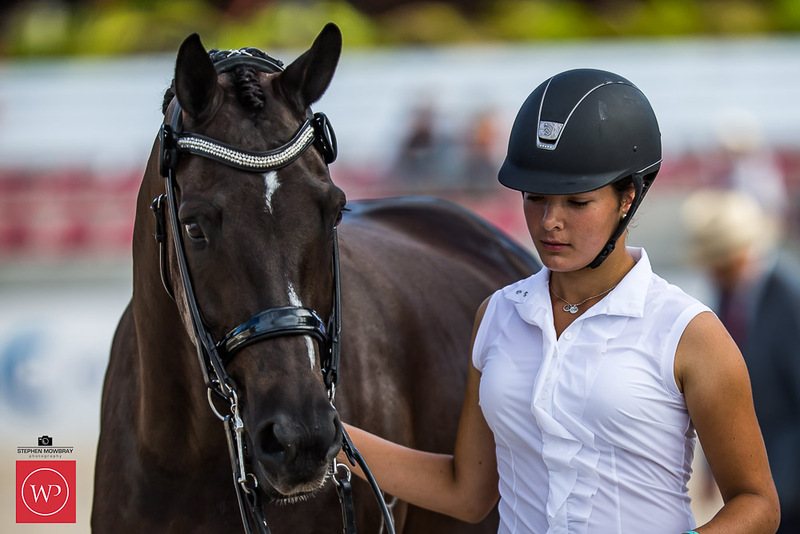 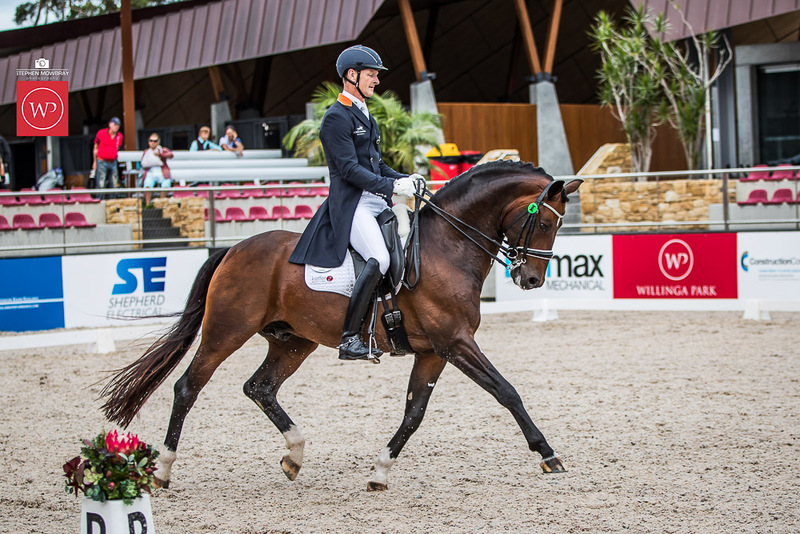 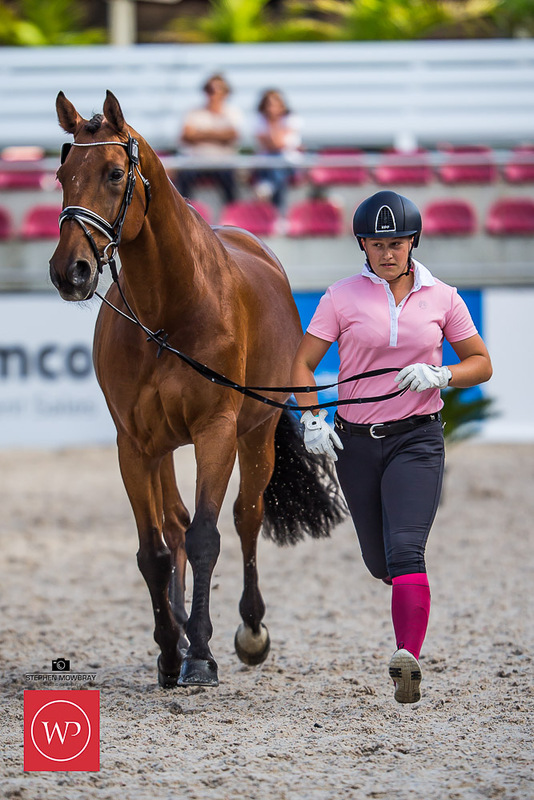 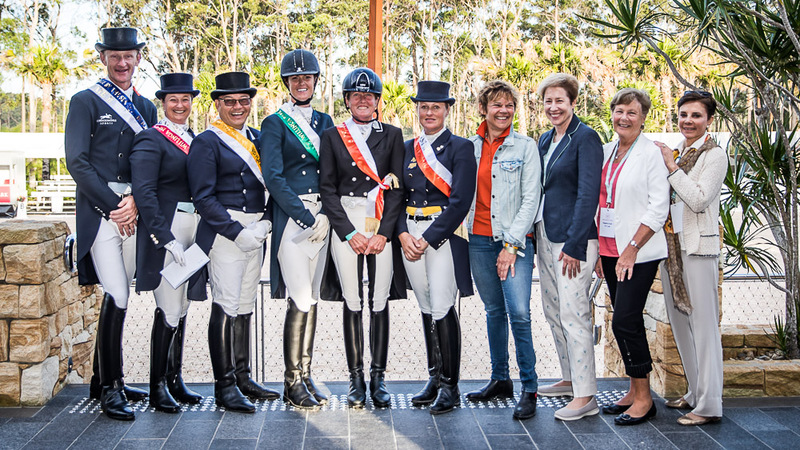 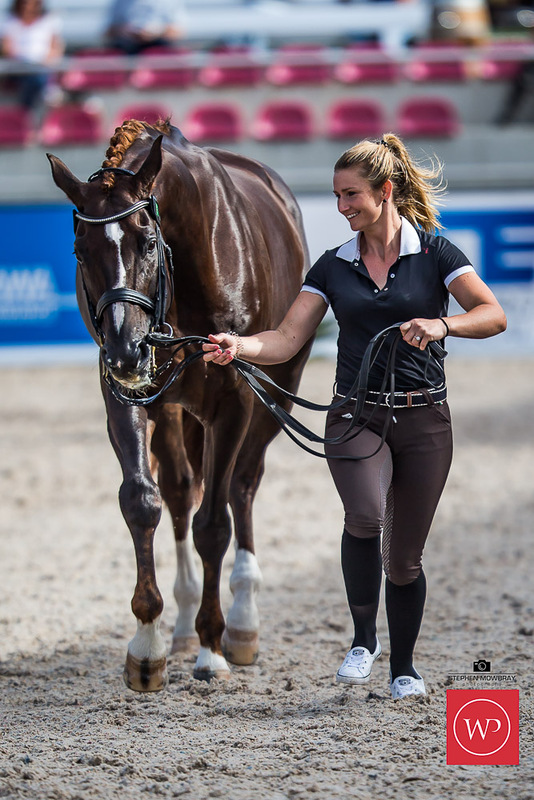 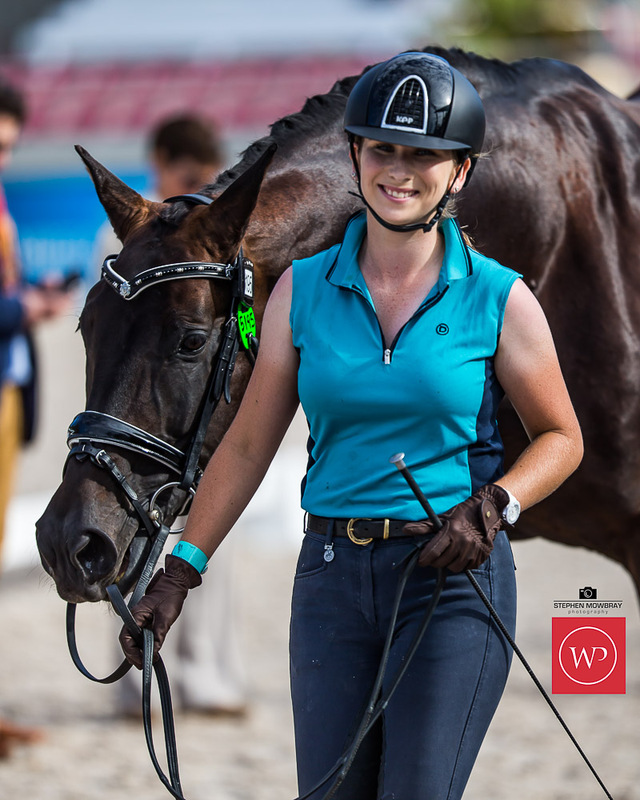 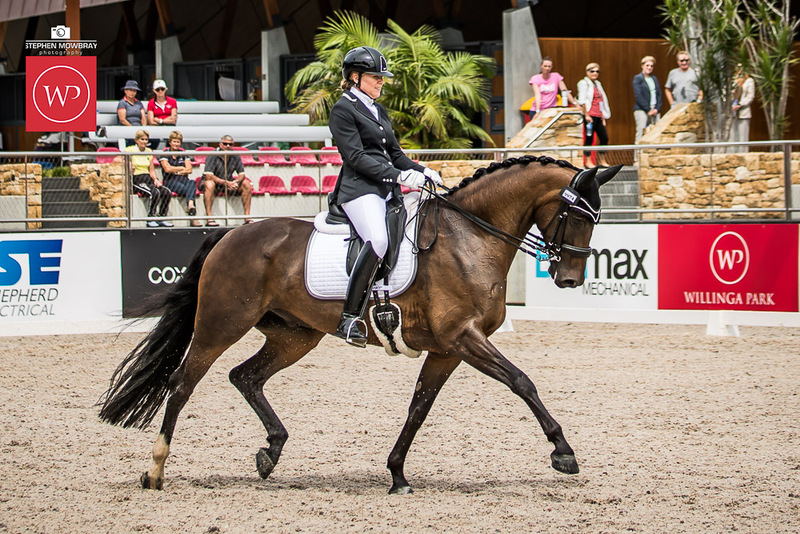 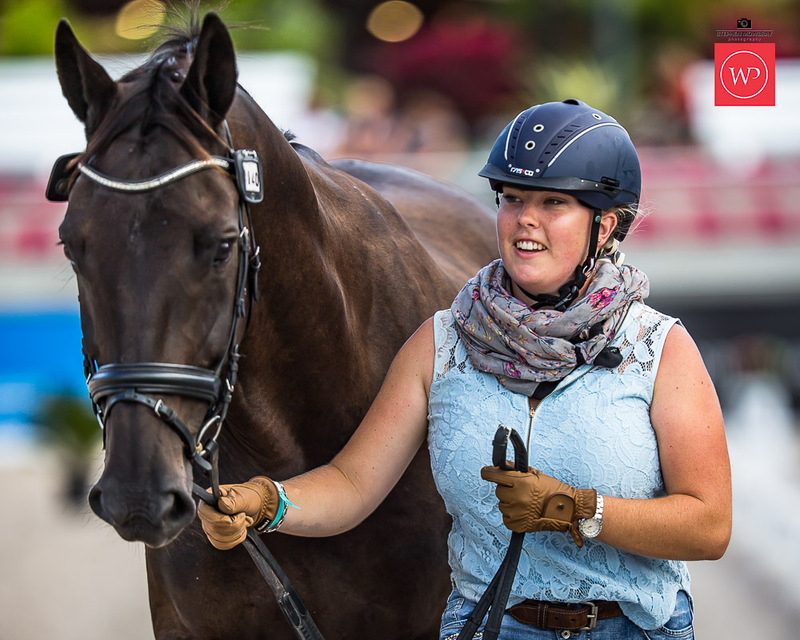 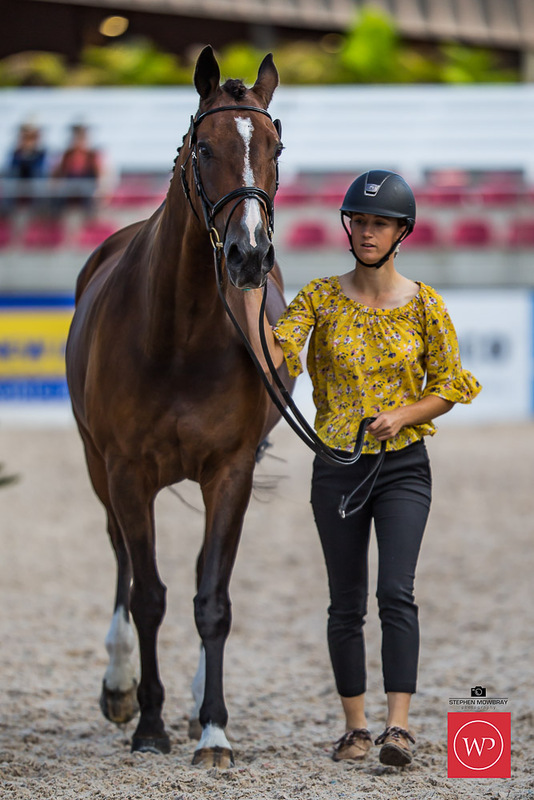 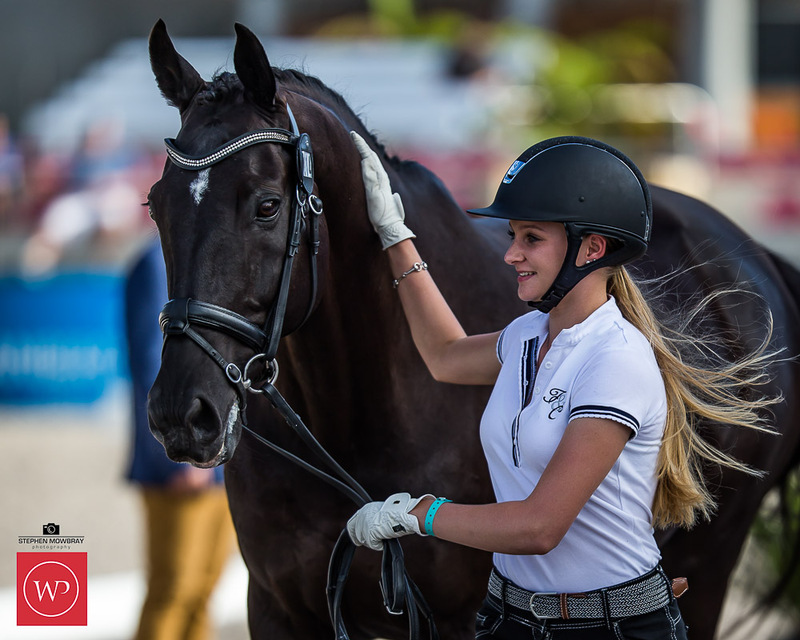 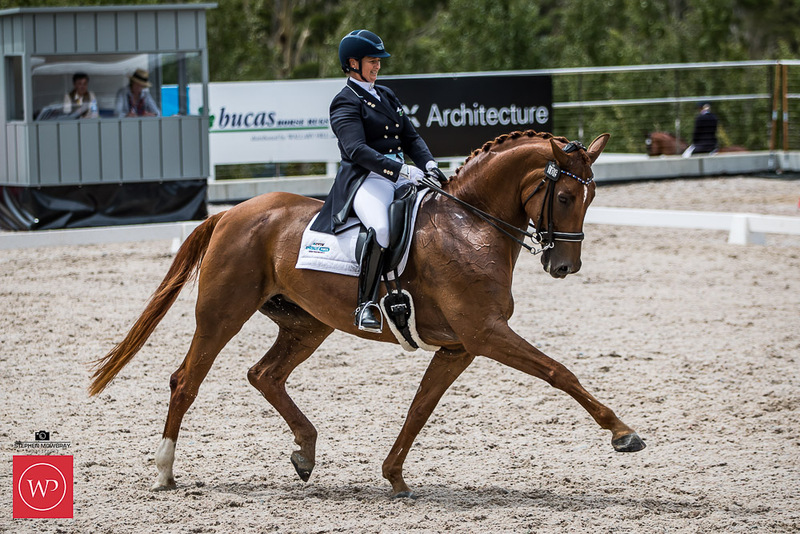 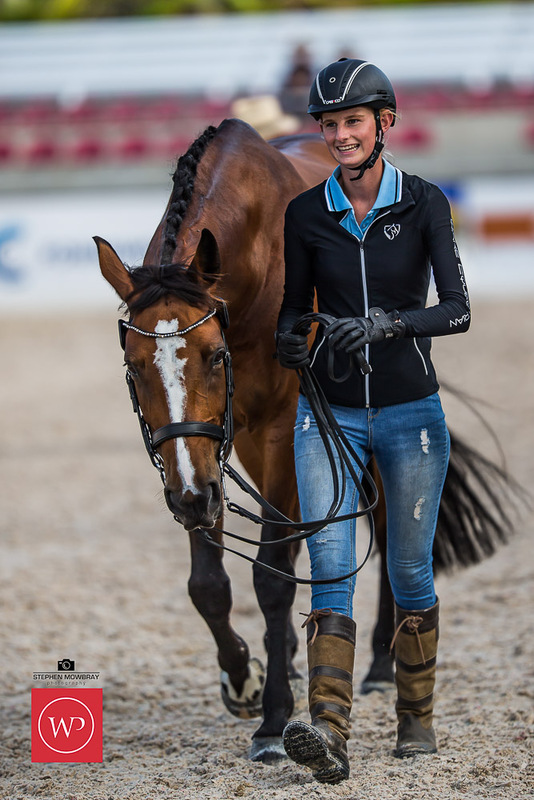 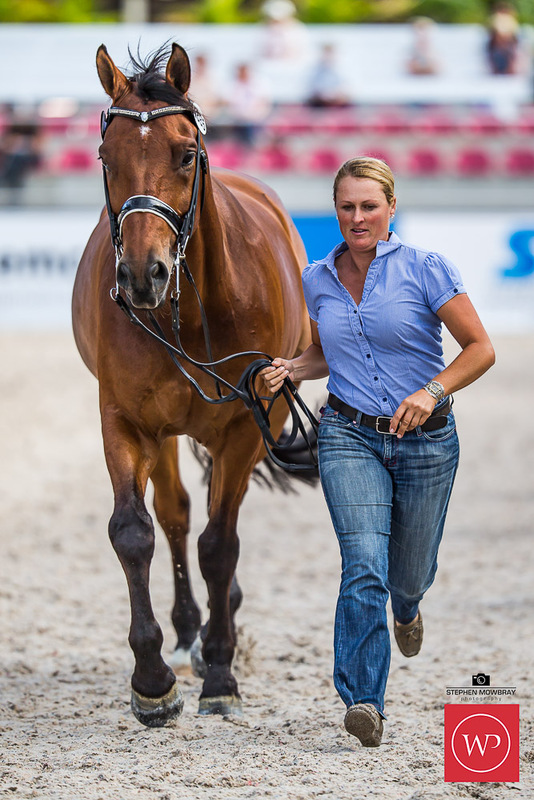 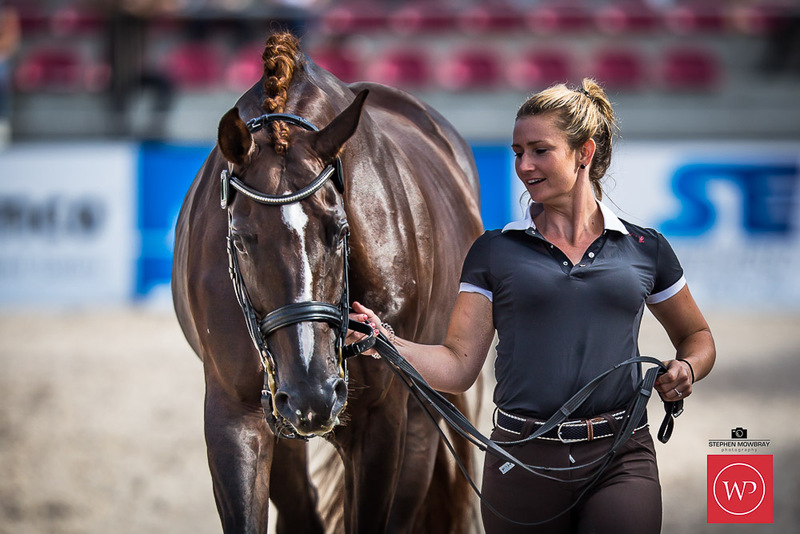 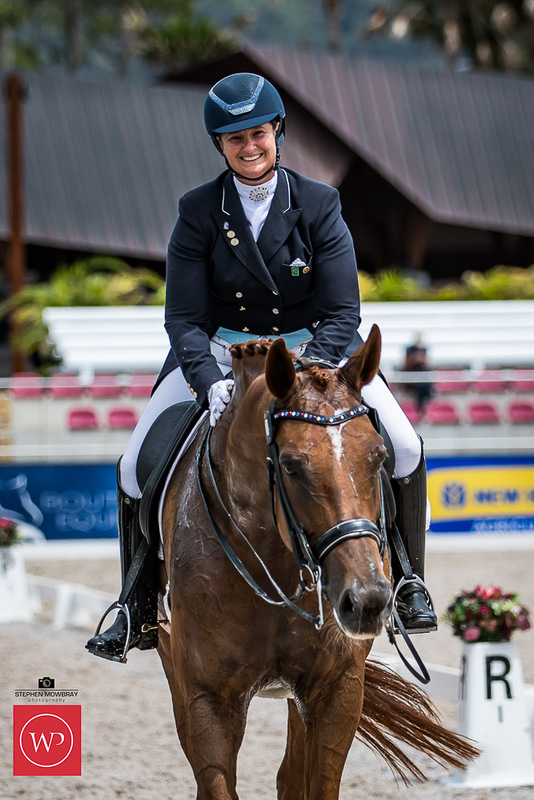 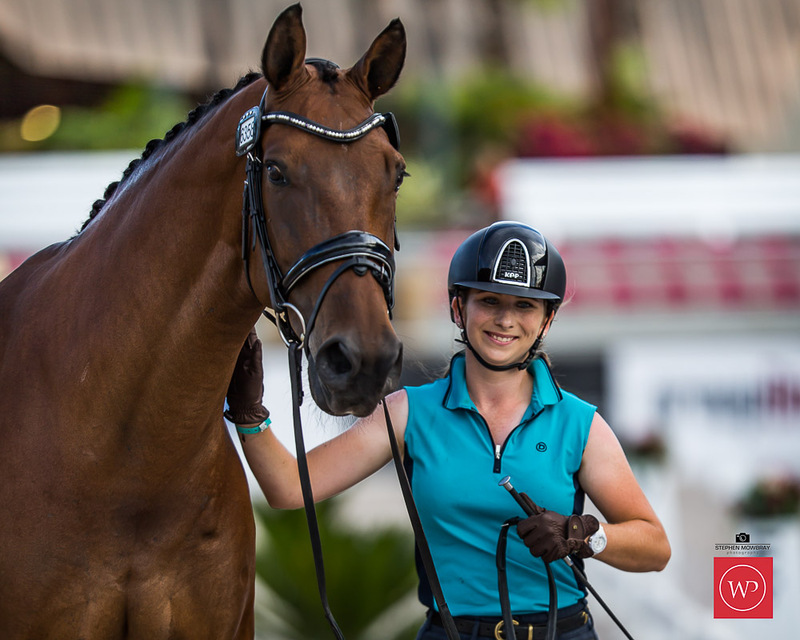 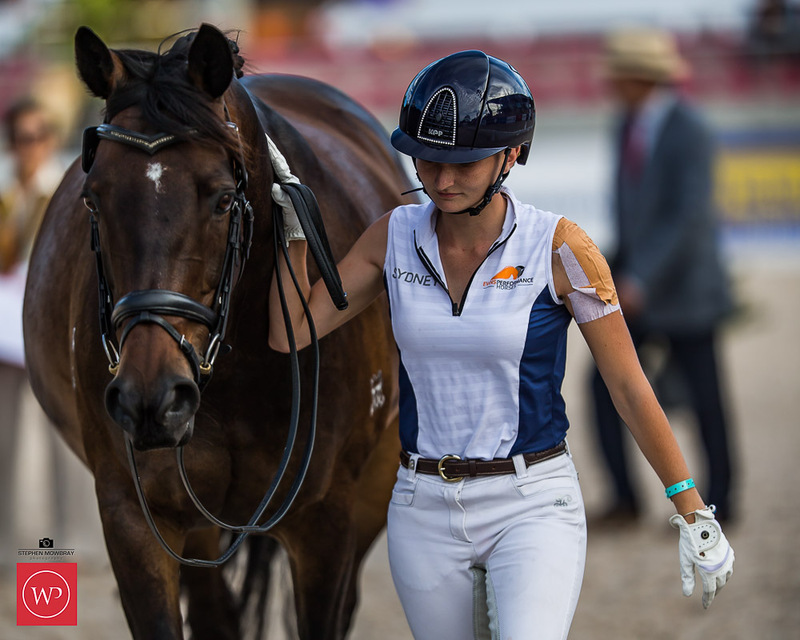 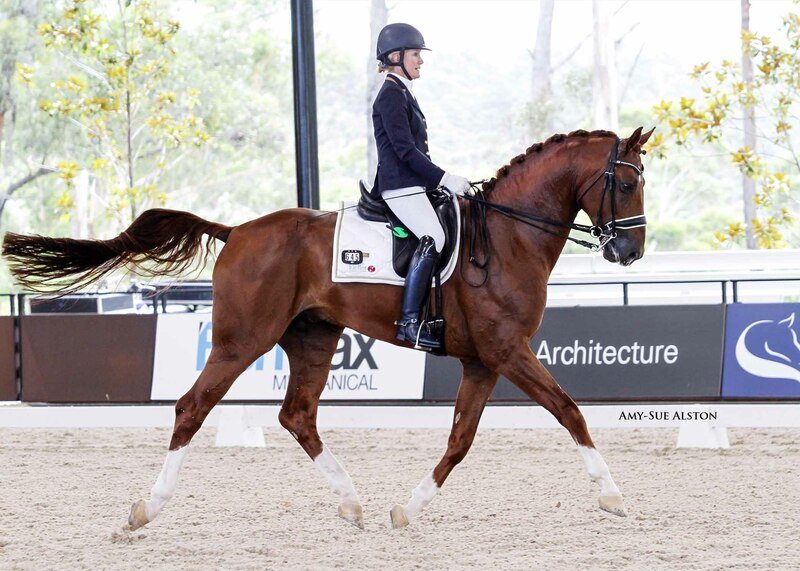 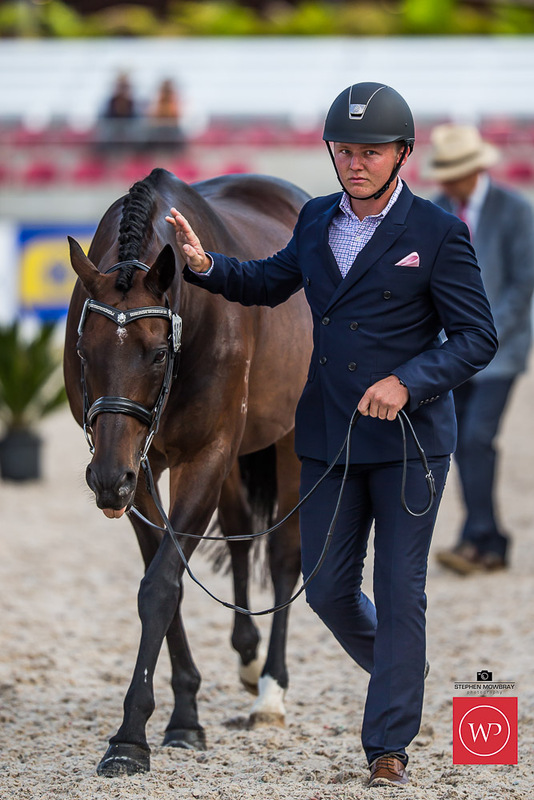 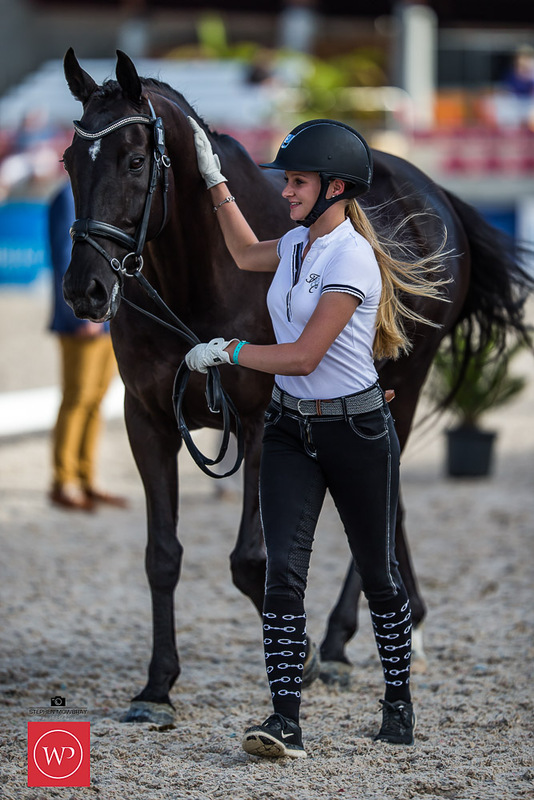 Well known Sydney-based professional Lesley-Ann Taylor rode Fermento to a win on 66.84%, followed by Katina Smith on MW Shockwave with 66.67% and James Collin on Neversfelde Kipling with 66.54%. 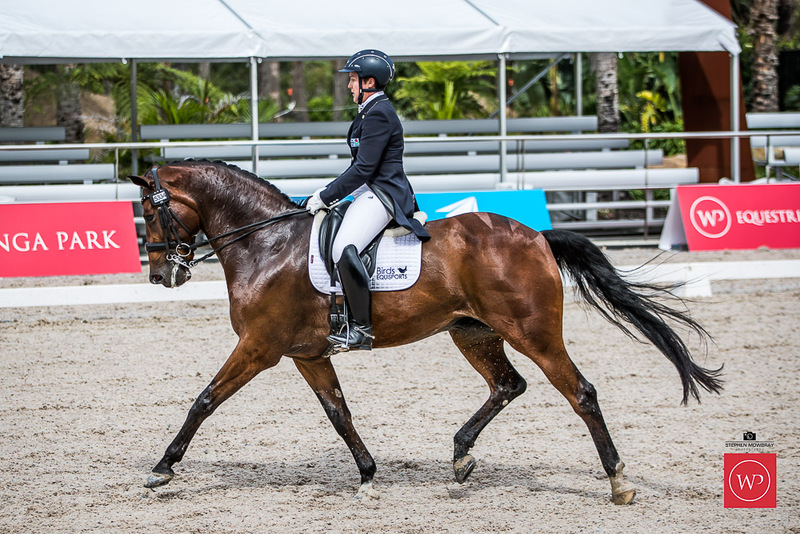 Congratulations James Collin and Neversfelde Kipling – a win in the 4.3 with 71.98%, followed by Heather Currie on Delandro with 67.30%, and Lizzie Wilson-Fellows on HB Rhodium on 66.53%. 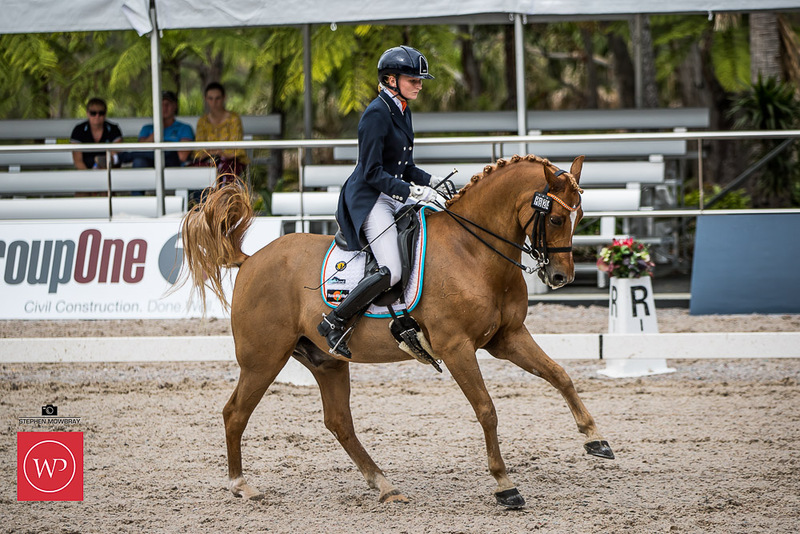 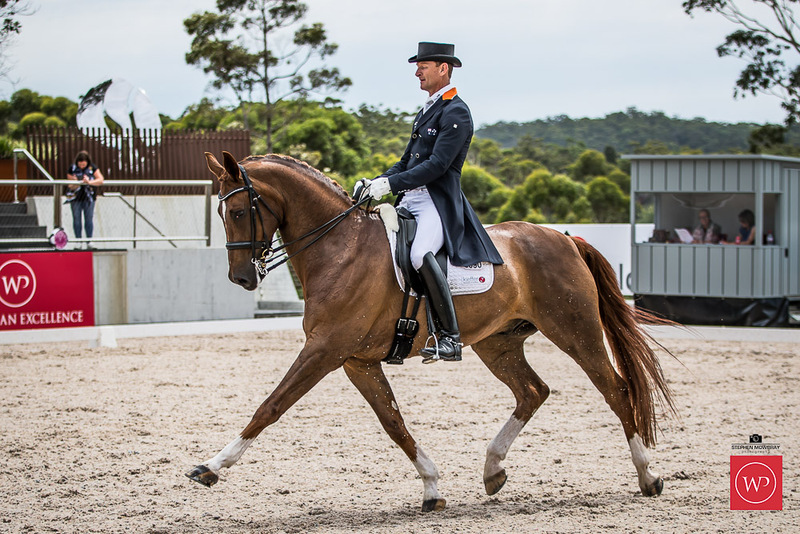 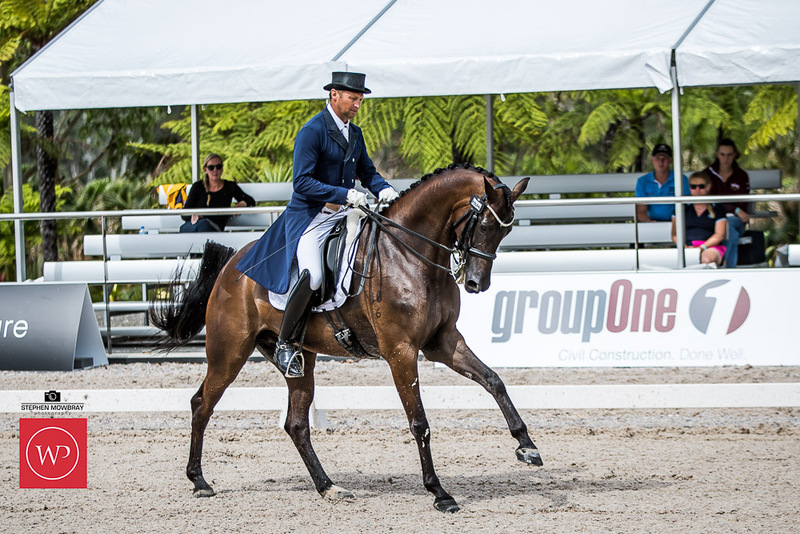 James Collin and Neversfelde Kipling take out the Medium Championship, with Heather Currie and Delandro awarded the Reserve Medium Championship. 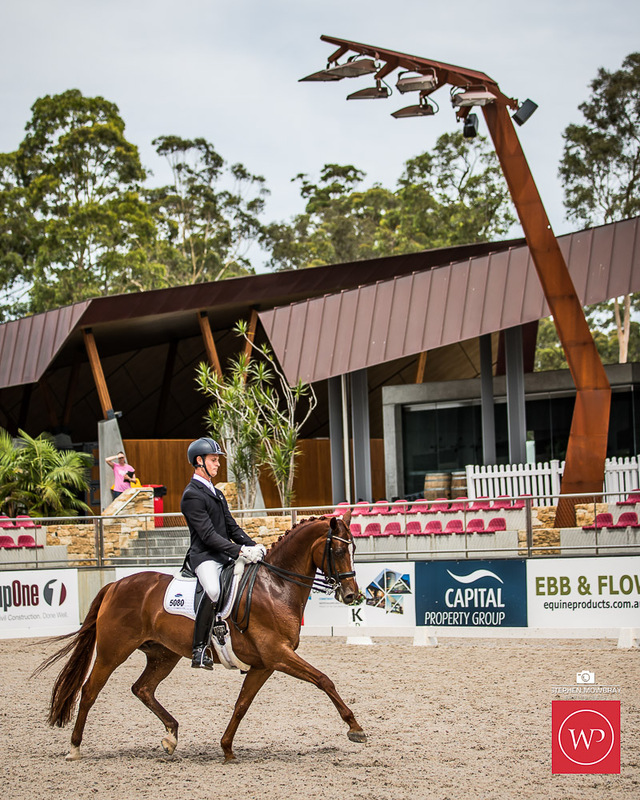 The ever professional Brett Parbery and Sky Diamond (owned by Cassandra Sangrioli) took out the class on 68.57%, followed very closely by stablemate David McKinnon on Mark Dowling’s delightful chestnut Woodside Lady Loxley with 68.21%, and in third place, Jenny Gehrke on Rose Deo’s extravagant Senator Nymphenberg on 67.86%. 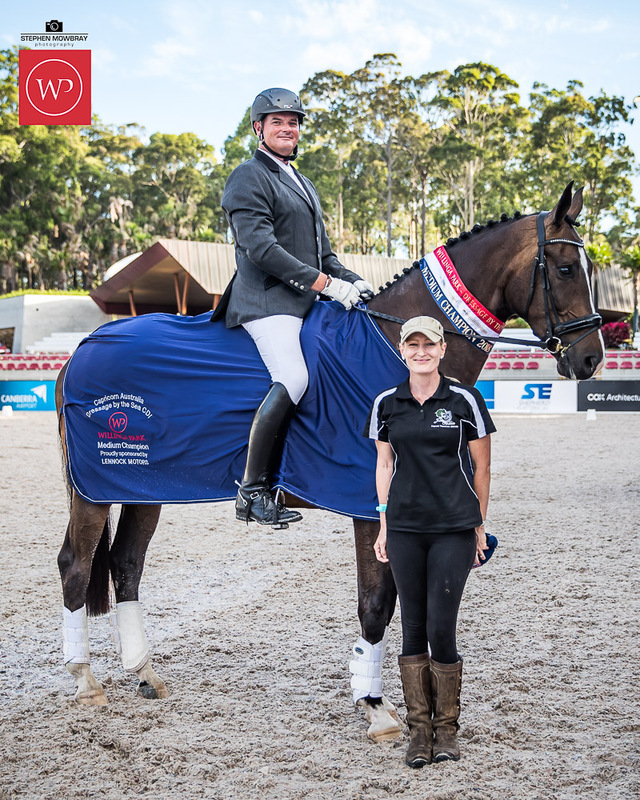 The second win of the day for Brett Parbery, this time riding Robert Fryer’s Longview Florencio for 68.53%, followed by Lisa Martin on her impressive mare Furst Famous with 68.21% and Gary Lung riding his gelding GB Winchester on 67.03%. 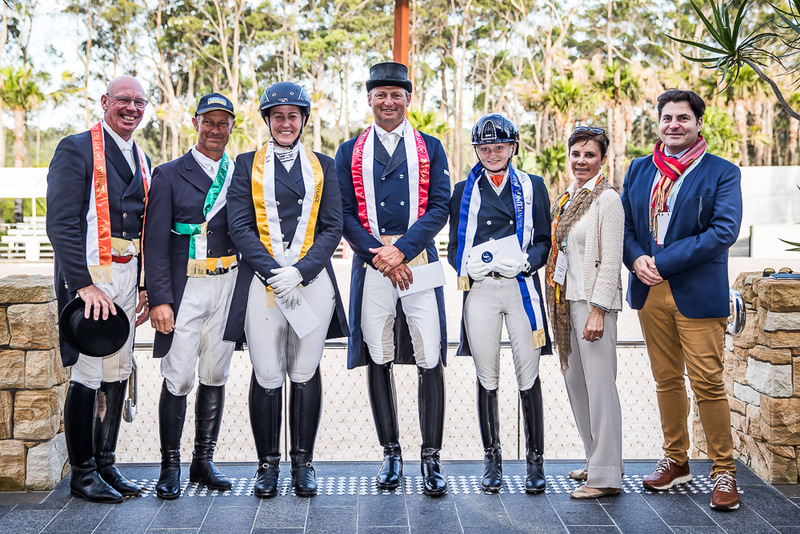 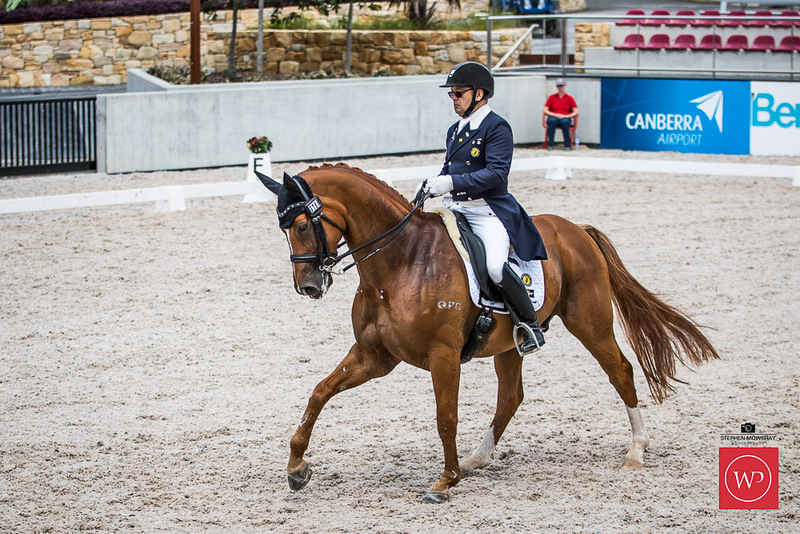 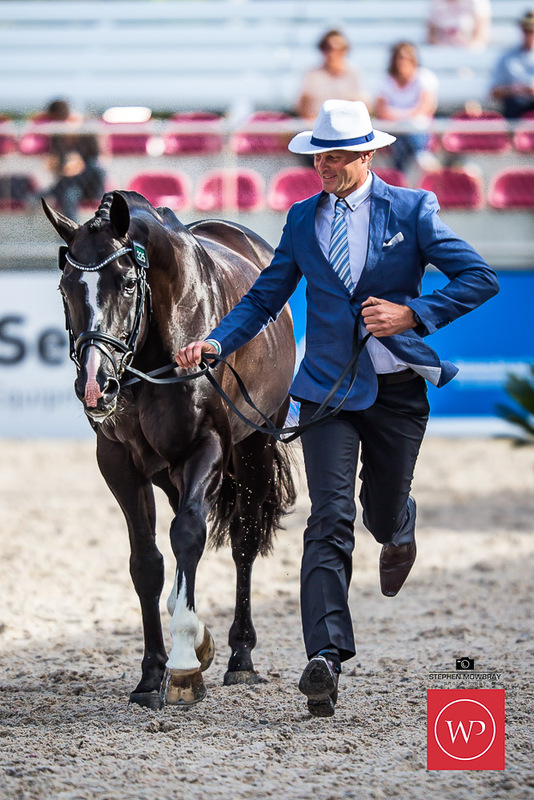 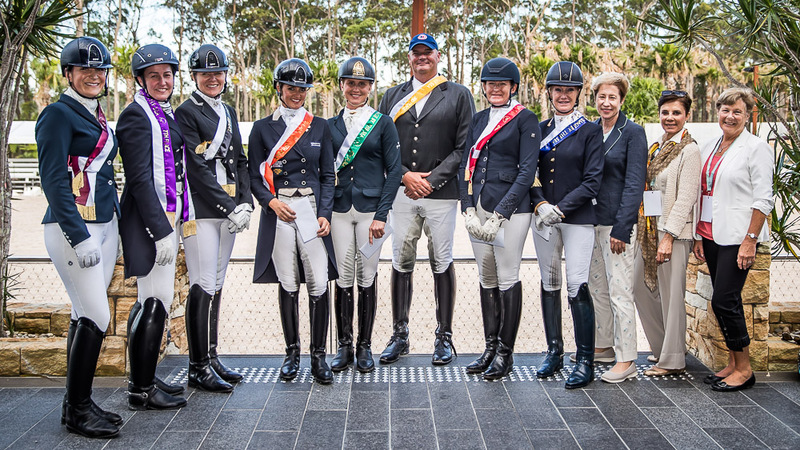 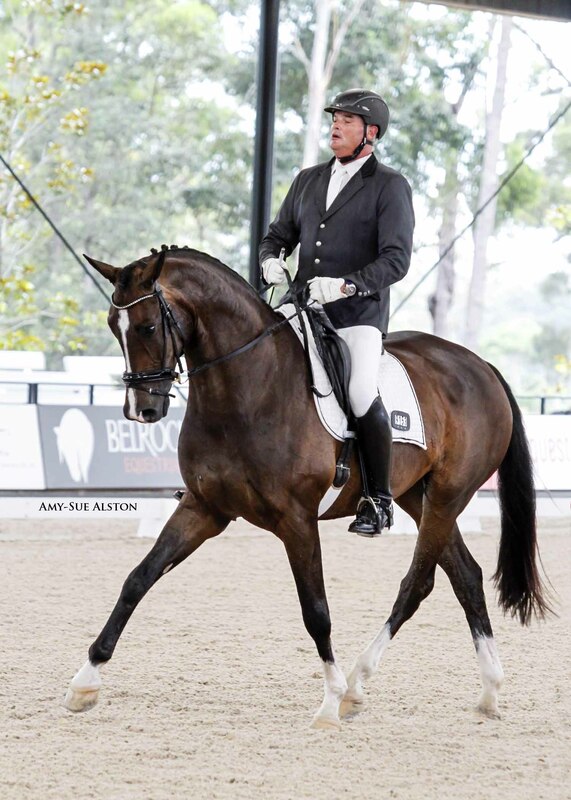 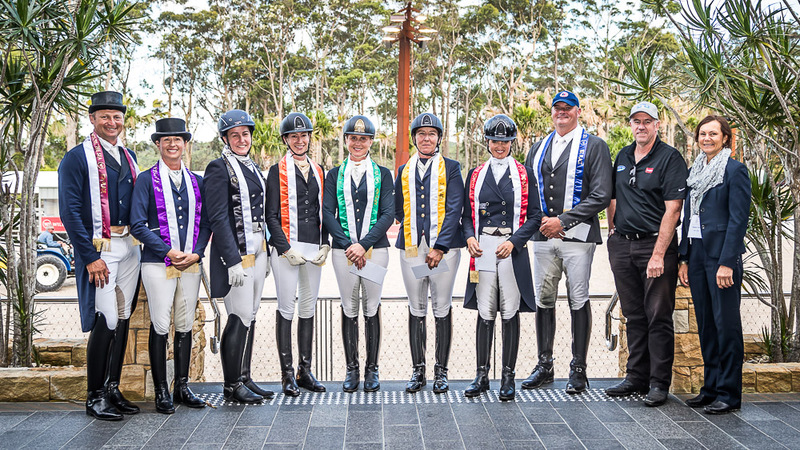 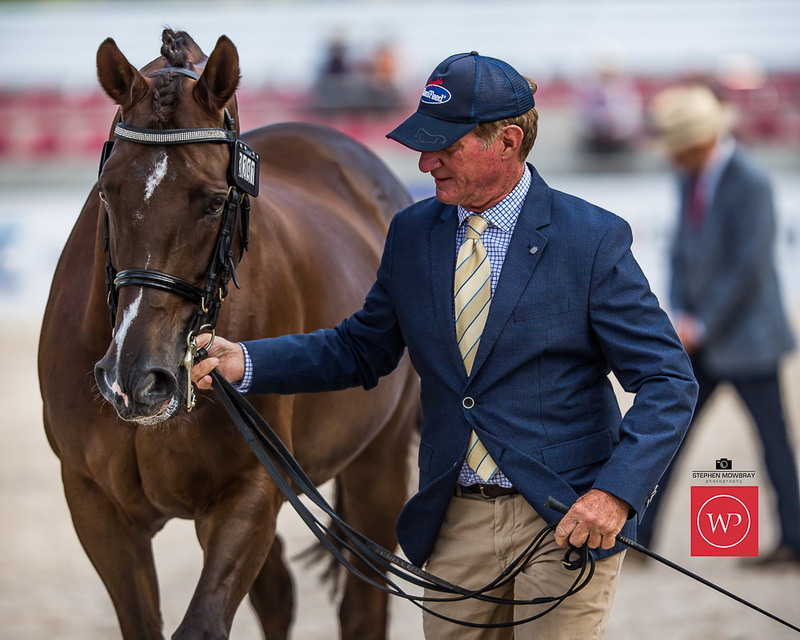 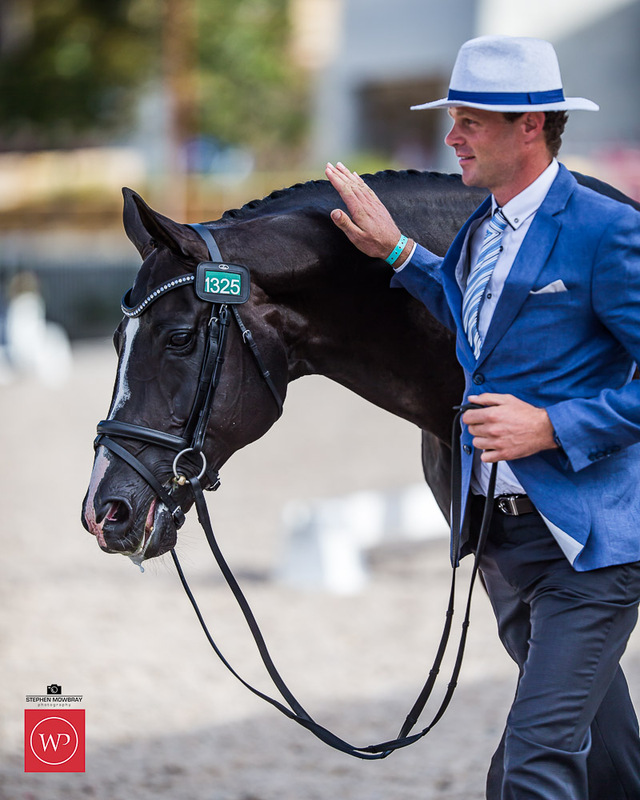 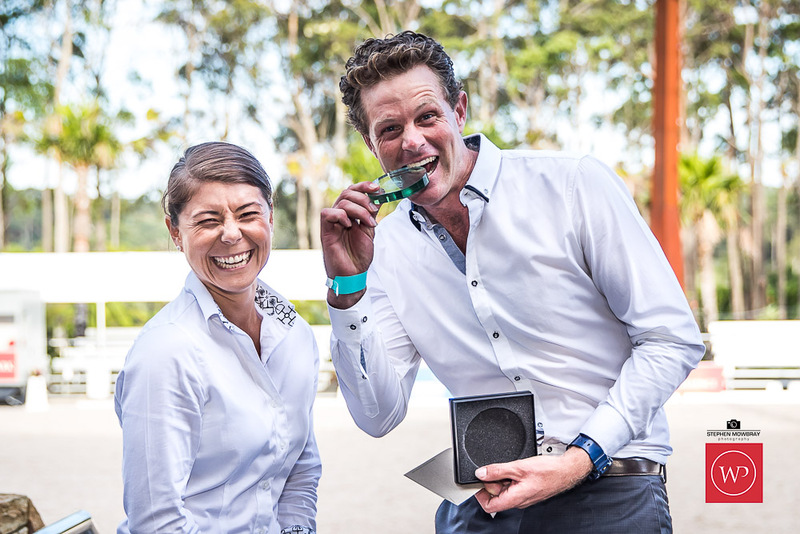 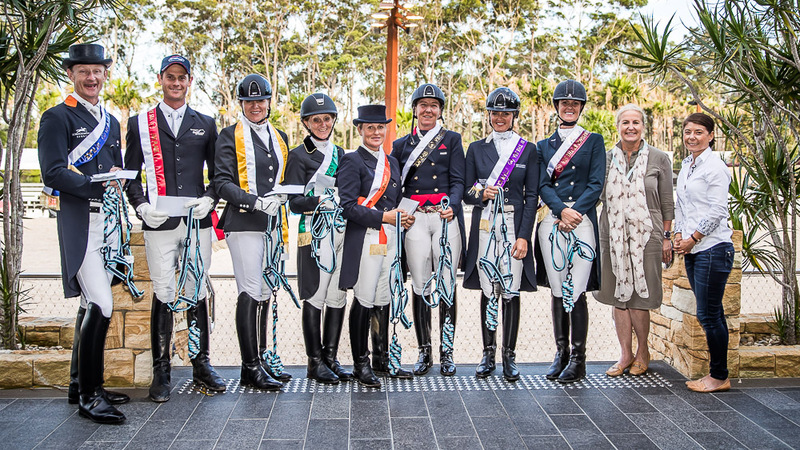 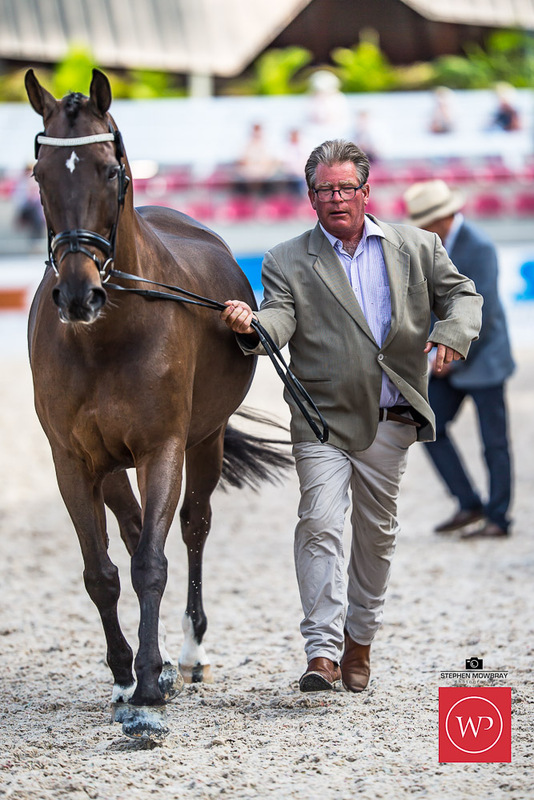 Congratulations Deon Stokes, winner of the Boutique Equines Polished Look Crystal award for the best dressed rider.